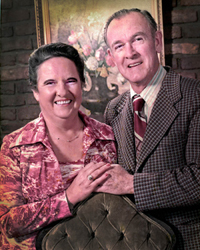 In 1965, Tena & Gene Corry of Washington, Georgia opened the first Tena's Jewelry in Downtown Washington across the street from the present location. 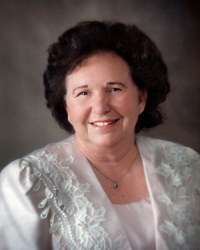 In February 1977, Mrs. Amy Howard of Tignall, Georgia bought the store from the Corrys. She soon saw the need for expansion and moved Tena's across the street. Mrs. Howard transformed the three old, abandoned buildings into the larger and more modern facility it is today. In 1981, she opened Tena's Jewelry on the square in Downtown Elberton. 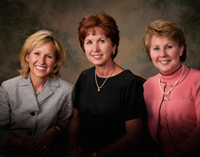 Mrs. Howard has three daughters, Debbie R. Jackson, Sandra R. Brown & Jeana R. Worley all of Tignall, Georgia. One by one, as the sisters finished college, they came home to work full-time for their mother. While in high school and college, they worked part-time in the stores. When Mrs. Howard passed away in 1995, the three sisters took over the businesses completely. Among the many things that their mother taught them, most importantly was to love and serve God, work hard and work together. In September 2001, they bought Seawright Jewelers of Hartwell. The name was soon changed to Tena's Jewelry, continuing the legacy of fine jewelry, gifts and service. In August 2009, the sisters bought their fourth location, at the former Foster's Jewelers of Athens and continued with the same name of Tena's Fine Diamonds & Jewelry, offering the same fine jewelry, gifts and service we have been known for. All three sisters and several staff members have taken extensive jewelry education courses throughout the years through the Gemological Institute of America (GIA), American Gem Society (AGS) and Holland School for Jewelers, including diamond and gem courses as well as jewelry repair, appraisal and management courses. The sisters have long been community and church oriented with each serving in many volunteer capacities, believing strongly in giving back to their communities.